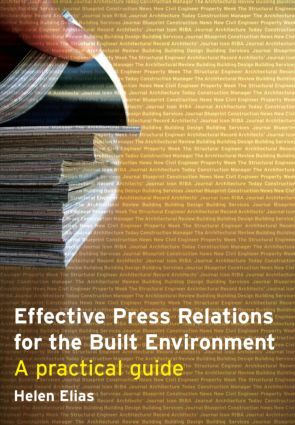 This practical guide explains to architects, engineers, designers and other consultants how to establish press plans for firms and for individual projects, and how to actively develop reputation by getting work published in the architectural, engineering and construction press. how to manage a crisis and handle bad press. With its hands-on approach and comprehensive publications, architectural photographers and PR consultants listings, this book is an invaluable tool for new starters, or larger firms that want to take a more pro-active role in generating their own publicity, while also helping practices to get the most from their press relations consultant. Use a PR ﬁrm or do it yourself?